Conseal Touch-Up is a single pack, high build acrylic resin with a satin finish. Conseal can be applied directly to bare steel as a "one-coat" combined primer and topcoat. It can also be applied over a wide range of single pack and two-pack primers. Ideal for all steel new-build & maintenance jobs eg containers, railings, structural steels, vessel superstructure, refineries, warehouses etc. 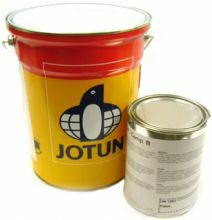 Jotun Jotafloor Rapid Dry is a single pack alkyd coating. Rapid Dry is a fast drying floor paint and offers a durability that isn't usually associated with alkyd floor paints. It is ideal for floors with light traffic and walkover and is designed for a range of floors with various levels of exposure. It is designed for areas requiring a fast drying, easy to use, light duty floor coating where quick turn around is expected. Recommended areas include exhibition halls, interior floors, concert and sports venues. 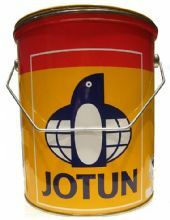 Add Jotun anti skid granules for a textured, non-slip surface.